One of the foundations of permaculture is the idea of obtaining yourself a yield. In the process of awakening our senses from "modern" society and reconnecting to the natural world around us, it makes sense that our gardening efforts provide real, tangible goods we can use. These could range from aromatic and medicinal herbs to vegetables and fruits for our meals, to things as diverse as wicker basketry woven from willow branches, and coppiced firewood from fast-growing leguminous trees. There is really no limit to the useful items that nature gifts us. 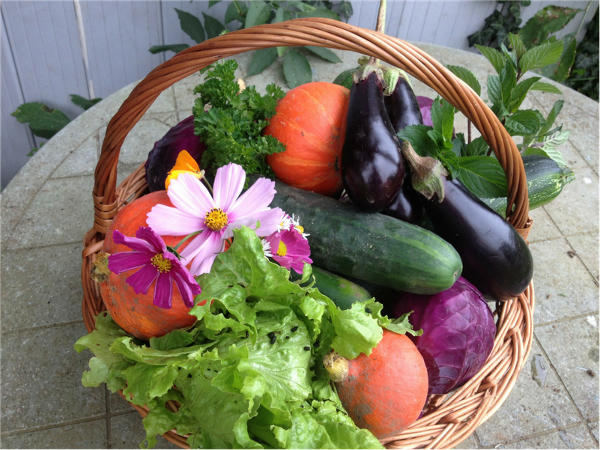 As gardening educators, we've found that it's really important for gardeners to experience a satisfying harvest that first year of gardening. Quite often, the enthusiasm of the beginning gardener is tempered by the reality of gardening as an exercise in patience and humility. There is nothing more frustrating than taking care of young seedlings with parental care and seeing your "babies" wither and die out a few days after transplanting. Since we would like to maximize our yields, we want to tilt the odds in our favor by focusing on crops that generally take care of themselves, produce abundantly, and are normally expensive to purchase from a supermarket. As you look through the table and think about which items you'd like to grow, try to use these 3 basic principles. Pick plants that are a good combination of Easy-To-Grow and high Yield. Try to pick 3 or 4 different plant families. We might love tomatoes, but if all you grow is tomatoes, potatoes, and peppers, there is a high probability that soil depletion, bad insect problems and weather will completely wipe out your harvest. Pick plants you like to eat. It doesn’t make sense to grow 50 pounds of radishes if you hate their taste. As you can see from the chart, fruiting plants and tubers tend to have the highest effective yields, but in some cases might not be your best choice because they typically take a bit longer to mature in order to form a bulb or produce fruit. Items like carrots might be great bets from an economic perspective, but can produce very heavy yields, depending on the soil conditions, and require almost no maintenance. 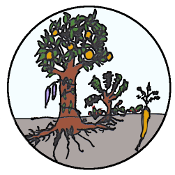 Permaculture focuses on perennial plants because their combination of resiliency and yield are unmatched by annuals that have to establish a complete root system from seed in under 100 days. I've listed a few easy-to-buy perennial plants that are worth considering in a beginning garden because they produce abundantly in the first year or two of planting and have less problems with insects and weather than their annual cousins. This is a term I like to use to describe actions that you can take in your gardens that will multiply your harvests by 2x or 3x. This might sound like it involves magic or something complicated but in most cases these actions are really simple. After your first season of harvests, start designing your garden and planting calendar with these multiples in mind to quickly scale up to hundreds of pounds of vegetables and fruits. There are other multipliers in the garden designer's playbook, but I've included 2 that make the biggest immediate impact. 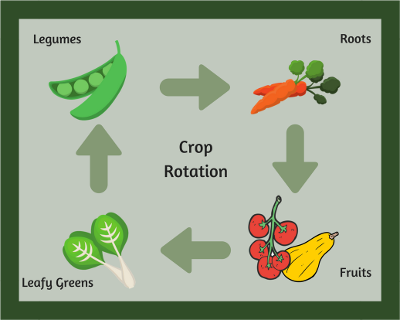 Most annuals require less than 100 days from seed to harvest, so rotating new plants in once your first crops are spent means you can easily grow 2 and in some cases 3 complete cycles of crops in one year. This is by far the easiest way to multiply your harvests but most people are unaware that you can even do this. One of the concerns I sometimes hear is that the soil will get depleted, but multi-cropping with a little foresight will actually enhance your soil life instead of depleting the soil2. The idea is to take the old farming practice of rotating the crops that were planted in a field each year into a smaller venue and a one year timeframe3. Legumes are usually a good first crop to grow in your rotation to add nitrogen and green matter to a growing space. Heavy feeders like tomatoes and melon can follow a leguminous first crop, followed by a third crop of light feeders like lettuce or carrots. You can change this up anyway you'd like but don't make the mistake of growing successive crops of the same type of plant. An important aspect of effectively managing multiple crops is knowing how and when to pull out the first crop. Many people will leave their fruiting crops (beans, tomatoes) in too long; when you are only getting harvests once a week instead of every day, it's usually best to rotate in your new crop. In order to prepare for the next wave of plants, make sure to not pull out the roots of the previous crop by trimming the stalk of the previous plant to the ground level. Finally pay attention to your planting calendar; if you can start your second and third waves of plants indoors so they are ready to transplant just as you cut back your previous crop, you'll maximize your growing seasons. We live in a three-dimensional world, but quite often we tend to forget that plants grow in three dimensions as well. When you're constrained by space, you want to use your limited garden space effectively, so taking advantage of the natural layers that a plant prefers allows you to stack multiple plants in the same 2D footprint. In a food forest, you can have seven layers4 (canopy tree, understory tree, shrub, herbaceous, vining, ground cover, and roots). I won't go into all of these, but in our suburban gardens, we can have 5 layers (small tree(10-20feet), shrub (berries), herbaceous (all non-woody vegetables and herbs), vining (pumpkins, hops, hardy kiwi), ground cover (strawberries, yarrow, wild raspberry), and roots/tubers (potato, beets, alliums). One thing that may seem counter-intuitive is that there is enough sunlight for all these layers of plants to succeed well. Fortunately, we underestimate the sheer amount of beneficial energy that the sun provides5. On average during the summer, each square foot receives about 70 Watts of energy from the sun, whereas high light plants only need 40 Watts of energy and low light plants even less around 25 Watts of energy6. Furthermore, plants have adapted to compete and grow in lower-light situations, so we have more than enough sunlight to grow multiple layers of plants successfully. So how do we practially take advantage of multiple layers in our gardens. One easy way to design a multi-layer garden is to identify plants that primarily occupy one of the layers without having much footprint in the other layers. An obvious place to start are vining plants like sweet potato, indeterminate tomatoes, grapes, etc. 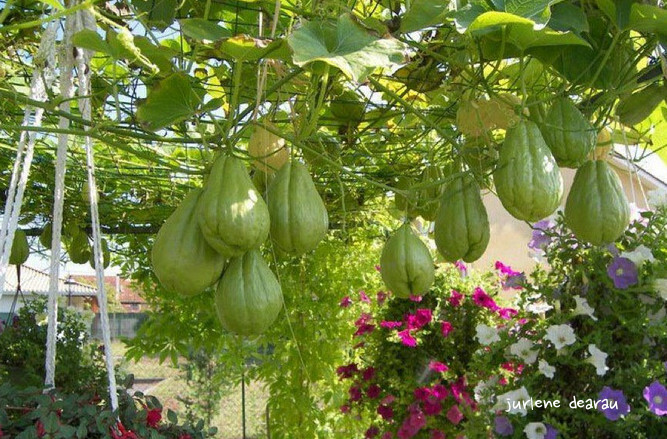 Even though these plants have relatively large root systems, you can place the roots in places that don't get a lot of sun and train them up trellises and vertical support systems into areas that do get better sunlight. Some root crops like garlic and carrots do very well with other crops and don't take much space above the ground. Ground covers like yarrow and strawberry provide a living mulch that keeps the soil moist and grow easily under other large berry bushes or shrubs. 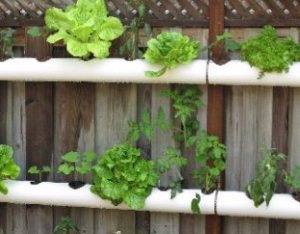 You can even take advantage of your existing vertical structures like fences or walls and mount small containers to grow easy crops like lettuce and radish. One final word on ensuring that you have high-yielding crops this year, diversify your growing. Surround your cash crops with players that will promote their growth, deter pests and produce some tasty food as well. We've writen more about building diversity in your garden here. I see you have lettuce and spinach listed as easy. However, we have had the most difficulty with those. Last year we planted in a mostly shaded area because I read they do well in shade. A few sprouted but soon died. This year we planted in a mostly sunny area. A few sprouted then withered. I also planted some spinach in a pot indoors. I sat it near a window so it could get sunlight without full sun. A long thin sprout popped out. After maybe a week it wilted and died. I don’t know what we’re doing wrong. All three times were in different soul types as well. We listed spinach and lettuce as being easy because normally they are quite easy to germinate and have a very short time to harvest (45 days). Have you tried starting your lettuce and spinach seeds in a tray, before transplanting them? Also, what variety of lettuce did you try growing (I can give you some recommendations on sure-fire varieties to try)? One other thing to remember with lettuce is that the seeds need sunlight to germinate, so you don’t want to cover them with soil; just scatter them on the surface of the soil. As far as spinach goes, you can grow swiss chard instead (same plant family). It’s a little more tolerant of weather variabilities than spinach.